President Donald Trump said Wednesday he has made a decision on the 2015 Iran nuclear deal — but didn’t say if he would scrap the landmark agreement or stay in it. Trump made the comments as he sat down to talk with Palestinian Authority President Mahmoud Abbas in the Lotte Palace Hotel in New York City. Trump also is meeting Wednesday with leaders of Jordan, Egypt and the United Kingdom as the United Nations General Assembly continues to meet a few blocks away. Trump has not hid his disdain for the Iran deal, which was negotiated by the Obama administration, along with England, France, Russia, China and Germany. Under its terms, Iran agreed to destroy or dismantle its nuclear development infrastructure in exchange for easing international sanctions. The U.N. Security Council endorsed the deal, and the U.N.’s nuclear watchdog agency, the International Atomic Energy Agency, has repeatedly concluded that Tehran is complying with its obligations under the accord. 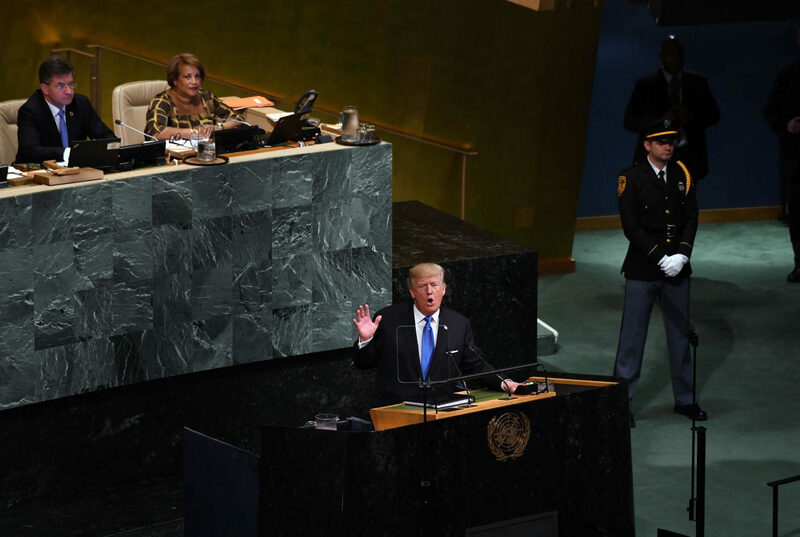 In his first speech to the General Assembly on Tuesday, Trump called the accord “an embarrassment” for the United States and hinted he would revisit it. Several of Trump’s close advisors have tried to convince Trump to stay in the deal for the next few months to give them time to work with allies to toughen some terms of the agreement. French President Emmanuel Macron in particular has been working with other European leaders behind the scenes on adding additional measures. On Sunday, Secretary of State Rex Tillerson said that Iran is in “technical compliance” with the agreement, but said it has violated the spirit of its preamble by continuing to support terrorism and building ballistic missiles. The U.S. has maintained sanctions on Iran related to those concerns. Under U.S. law, the Trump administration faces an Oct. 15 deadline to inform Congress that Iran following the terms of the nuclear deal. If Trump won’t certify Iran is complying, Congress will have 60 days to decide if sanctions related to Iran’s nuclear program should be put back in place, an action that would effectively scrap the U.S. side of the deal.